I wish The Motherkind Café had existed when I had my first child in 2015. I found labour and the postnatal period extremely tough and I desperately wanted to talk to other mums going through the same thing. Enter The Motherkind Café, which had its first session this month and is a free weekly group for any new mum who feels like she needs some extra support. You can go along with your baby and chat to other mums who might be feeling the same – or you don’t have to talk at all. It’s up to you what you share. You can also chat to the volunteer peer supporters who will be at each session. The café isn’t offering a clinical service (none of the volunteers can offer therapy or treatment in the group), but they can recommend the next steps for anyone who would like to seek further support. 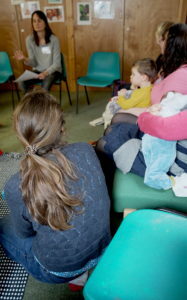 The Motherkind Café will run every Friday (10.30-11.45) at Flo’s in East Oxford. Most sessions will be informal and feel like a playgroup, with baby mats and toys for little ones and tea and biscuits/cake for mums. Once a month there will be a ‘circle’ session which is a chance to discuss an aspect of motherhood in a little more detail. How did you come up with the idea of The Motherkind Cafe? I really struggled with my mental health after the birth of my son Finn in 2017, after a difficult year personally, and a long stay in hospital with pre-eclampsia and Finn not feeding well. It’s hard to put a finger on what it was exactly, as I don’t think I ever had a formal diagnosis, but it included a short but acute episode of post-natal anxiety, insomnia, and some really, really low days where I remember feeling so overwhelmed that I just wasn’t able to enjoy it. I looked around and it felt like no one else was struggling with motherhood, but I kept finding things online and on social media from mums who had admitted to suffering with a postnatal mental health condition or finding it really tough. I asked various mental health organisations if there were any groups, specifically for mums that I could go to talk about it (and take Finn with me), but there were none in Oxford, I was just given websites to look at. I think when you feel like that you need real human contact and conversation, and someone to tell you you’re not the only one, and that you will get through it. I always thought setting up a support group of some form would be a really nice thing to do, so that other women didn’t have to feel like I did and have no where to go. 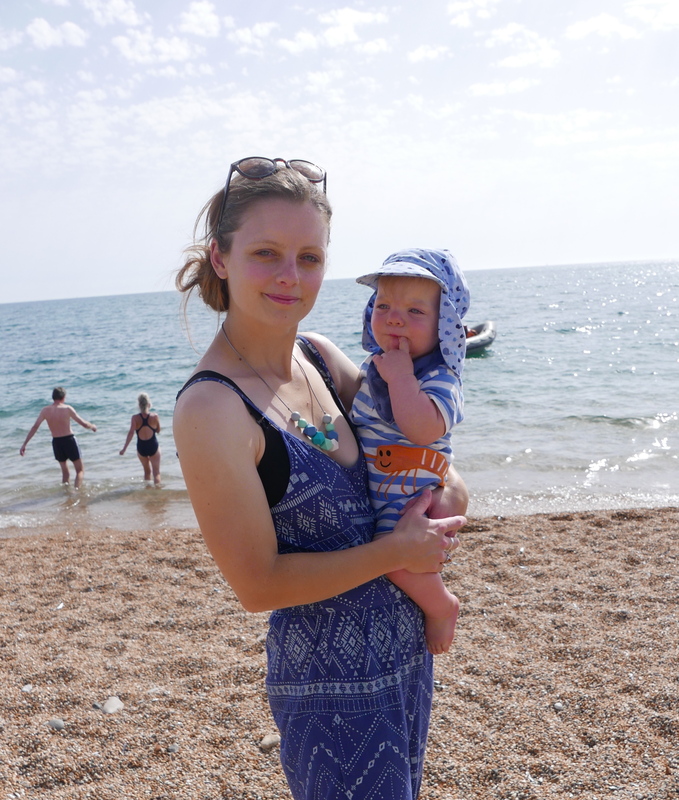 I really benefitted from going out to baby groups and chatting to other new mums, but it still felt like I couldn’t say how I was really feeling. Those first few months are so intense and I don’t know a single new mum who hasn’t spent some of it in tears, feeling totally exhausted and broken, and I wanted there to be a space where you could come and talk to other mums honestly about things you were finding hard or if you had any worries about your mental health. How easy/difficult was it to make it a reality? I don’t feel like it’s been hard, but it’s definitely taken a long time and I absolutely could not have done it on my own. I was introduced to 2 local mums, Guin Webster and Becca Knowles-Bevis through the Oxford Breastfeeding Support Facebook group. They both work in clinical psychology and also have years of experience supporting women and families through birth and beyond and so have an invaluable understanding of postnatal mental wellbeing. They were so supportive of the idea, and immediately got what I wanted to do and have helped turn it into a fully-fledged reality. Mental health is a sensitive area and you are dealing with people who may be very vulnerable, so while we wanted the group to feel informal and low key, it became clear that behind that we had to put a huge amount of work into making sure we had the right procedures in place. Guin and Becca’s expertise has really helped shaped the foundations and principles on which the group is built. On top of that we have all had to do all the planning, meetings and work around our busy family and work lives, and so it’s taken time to get everything in place. How can people support it? What will it need to continue running? We started with zero budget and so with a little bit of self-funding and a great crowdfunding campaign we have managed to raise enough money to keep the group running weekly for around 9 months but we will really need more funding to make it sustainable long term. Even just £5 will help towards keeping us going. Also we have a collection box at the group so please consider donating to that if you come along. What would you say to a mum thinking of coming along? Come! We all know how you feel and it can be a huge deal getting out to a group and meeting new people, especially if you are feeling low. But we have all been there in some way or another. 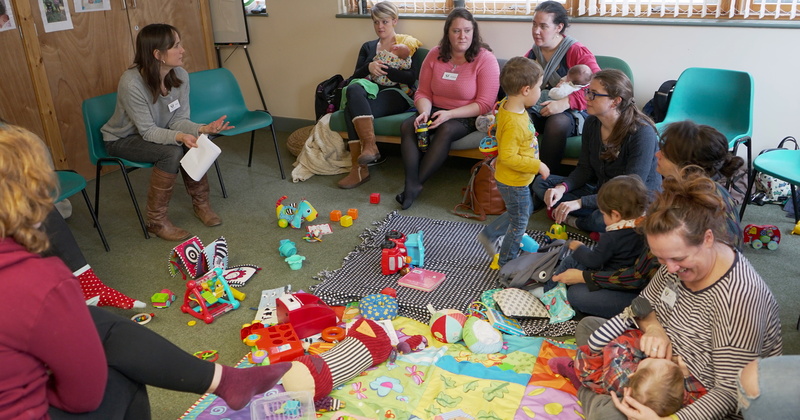 We have around 4-5 peer-support volunteers at each session so someone will say hello and help introduce you to other mums, or just chat and make you a cup of tea. The group is definitely for any new mum. One thing I’ve learnt doing this is that mental health is a complicated spectrum and while more severe conditions do affect some women I don’t think I’ve met a single mum who didn’t find some element of motherhood hard, or who hasn’t felt overwhelmed of isolated or demoralised. It could be because of problems with feeding, with sleep, or going back to work, or a child’s illness, or difficulties with a partner or family. These can trigger anything from low mood to something more severe, but there’s really no criteria, except that it’s a safe space to be honest about how you are really feeling. For more information about The Motherkind Café, visit their Facebook page. 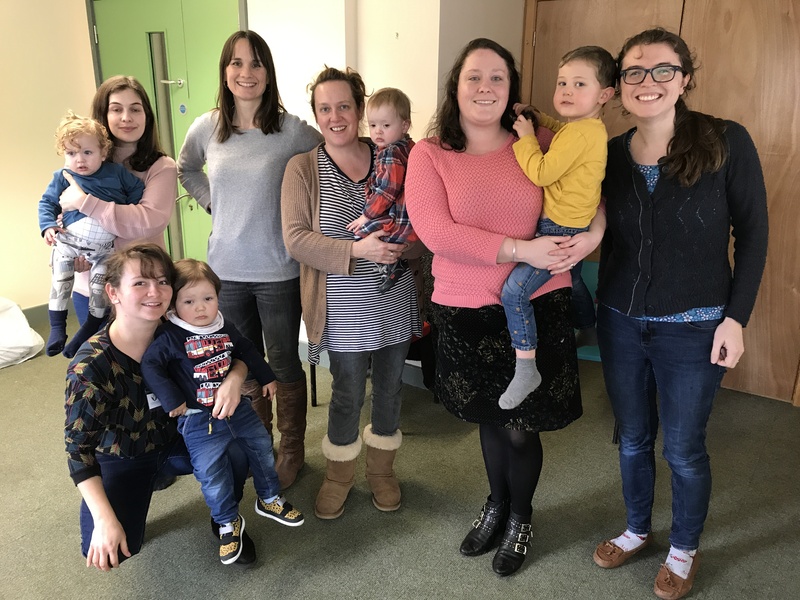 The Mothekind Café is listed on the ‘Birth Recovery & New Mum Wellbeing‘ page on Oxford Mumbler, together with all the other support services for new parents in Oxford.